Marc is a brilliant photographer. Down to earth and highly communicative, he was eager to learn our wedding photo expectations and wish list. While we had a few requests, we asked Marc to bring his creative edge to our wedding day. The photos were relaxed yet formal, with several very cute candids where he really did capture so many moments in the photos. We received so many beautiful photographs of us and our family that everyone will cherish forever. He was so personable with our family and friends, like he knew us personally for years! Our photos are the best wedding photos I have ever seen. Beyond impressed! Thanks, Marc! Being in the events industry, I worked with Marc, owner of Marc Edwards Photographs, numerous times in the past, and I always thought he was extremely creative, which is why I chose him for our big day. I like his artistic approach to photography. He has an amazing eye and sees things in a beautiful way. He is also very flexible and accommodating. As a photographer, you have to be able to think on your feet to get the best shots, he does that very well. I highly recommend! I can't say enough amazing things about Marc, both personally and professionally. He exceeded all of our expectations for a wedding photographer! There were times I wanted to ask him to stop working and join the party because he felt more like a guest (haha). Our photos are amazing and we couldn’t be more pleased. I’ve read some reviews from others and everything good they say is honestly the truth. No fluff. He captured some truly poetic moments on our special day and to me, there’s nothing more important. Marc, you are the man! We are so happy to have gained you as a friend and would recommend you FIRST to any potential customer. Thank you so much for quitting your old job and becoming a photographer!! You’re such a blessing!! If you are looking for an amazing photographer look no further, Marc is your guy!! He is beyond talented! He is also the nicest person you will ever meet. He does everything in his power to make sure your wedding is captured perfectly! Marc made this whole process easy and fun. Not to mention he answered all of my annoying questions with a smile on his face! We don't have anything but good things to say. We HIGHLY recommend Marc!! Marc, you are absolutely amazing and I am so happy you were our photographer and now our dear friend. We are so grateful for you. Hands down one of the best purchases made for my wedding. Marc is so personable and present in the moment. His turnaround time is 2nd to none. I had pics way faster than what was contracted. They were stunning. I still dont have pics blown up because there are too many perfect ones to just pick 2 or 3 to hang in my house. The photo book he created told the most beautiful story of our wedding. His pictures capture the emotion and beauty of your big day. Vendor turned friend, i will use him for all my big moments in life. Best money you'll spend. Worth every single cent!!! WOW is the response we get from everyone when they see our wedding photos - which we love and will cherish forever. But the real wow is working with Marc! Marc flew to Houston to do our engagement photos and ended up doing 2 evenings of pictures at 5 different shooting locations without charging us extra. He was extremely mindful of costs in planning his trip, too. And it was SO much fun - we got so many types of shots. The glamorous and the intimate sweet ones. And the guest book he made with them for our wedding - we will cherish it forever! It was perfect for us. For our wedding pictures, Marc was fun, relaxed and efficient. He was always mindful of the light and even coordinated with the videographer to set up lighting equipment that allowed us to get STUNNING sunset pictures. He was extremely professional and truly captured our wedding day perfectly, down to the finest details. I don't even know where to start with how great Marc is! He flew to our current location (Omaha) to conduct our engagement photos and then surprised me by taking our pictures with horses (horseback riding was my childhood hobby/ love). Marc is amazing to work with and gets along with everyone. The best part is that his photos are terrific. I just received my wedding photos and love every single one. I am so happy I chose Marc as my photographer. We used Marc Edwards for both our engagement photos as well as our wedding day and we are SO glad we chose him! He was such a pleasure to work with and his images are amazing! We struggled a bit with being natural in front of the camera but Marc was so patient and encouraging and really helped us be ourselves. We are so pleased with our images and have received a ton of compliments from our family and friends. In fact some have commented that the photos belong on the cover of a wedding magazine! We plan to use him again for family photos and any other opportunity we get! 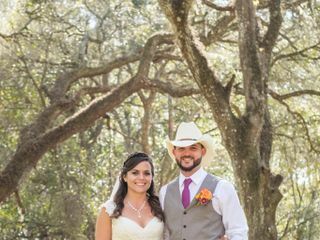 We originally met Marc through our planner, who had sent us eight different photographers. Without discussion, we both wanted to meet Marc immediately. We clicked on the first visit and it was history from then on. From our engagement shoot on cinco de mayo to a quick rendezvous at our favorite wine bar before the wedding, every moment with Marc was unforgettable. He is so talented, genuine and entertaining. 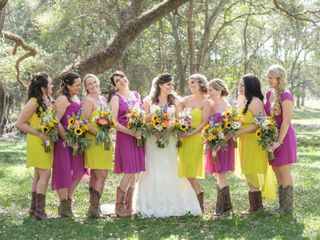 The bridal party pictures were done so quickly that i curiously wondered how they were to turn out. He caught every moment so quickly, we were done with ample time to enjoy the cocktail hour. Moments with my family, after the ceremony, were captured and remain our most treasured pictures. We had no idea that any one was shooting behind us. EVERY SINGLE PERSON I have showed our photos to have gasped in disbelief on how beautiful our pictures are. His vision comes to life and you will relive your day through his eyes. Thank you, Marc. <3 u.
Marc is amazing and professional. We love our wedding photos. He did a great job capturing our wedding day exactly how we wanted. The details, the emotions, and the happy family and friends, those sweet memories are all in the photos and we would treasure them in a life time. We are so lucky to have Marc as our wedding photographer who is also sweet and fun to work with. We would highly recommend them to our friends. I recently got married just over a month ago in Sarasota, Fl. While planning for our wedding, I knew I needed to have a professional photographer. I didn't want just want any photographer who could take photos, cause I figured could have had someone in my family do that. I wanted someone who could capture that priceless beautiful moment in every picture, where I could look back at my photos and relive that moment. Marc Edwards did just that. 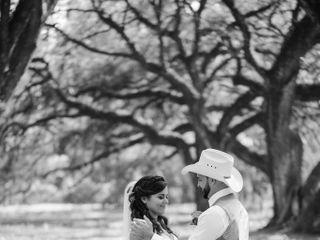 Even when I was searching for a photographer on WeddingWire, the second I looked at his page and through his online albums of other couples, I knew right away he was going to be my wedding photographer. Working with Marc was absolutely wonderful. He makes you feel comfortable and beautiful in every shot. He is also very flexible with every request you have, and understanding of each and every one of your needs. If you want someone who is professional, amazing to work with, and makes absolutely gorgeous wedding photos, I 100% recommend choosing Marc Edwards as your photographer. Marc honestly was one of the best parts about the wedding and planning process. He was the first photographer I made an appointment with and I am so thankful I did. He immediately made me feel welcome and comfortable. 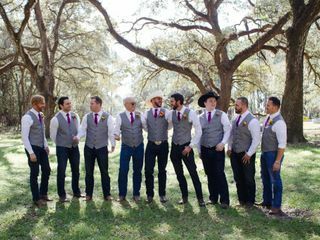 What I instantly noticed is Marc values establishing a friendship with his “customers.” He truly wants to know you and share in making your wedding day special. He is extremely professional but rather than being stiff and impersonal, he is warm and so easy to befriend. He is funny and extremely talented. In a photographer, I wanted someone who would make my husband and I feel comfortable (we never take pictures). I wanted someone who would use natural light and make pictures look beautiful without altering or making them super artsy. I wanted someone to capture us. Marc did exactly that. He has such an eye for lighting and scenery and making each picture special. For our engagement pictures, Marc went out of his way to make happen exactly what we wanted. My fiancé is a pilot and we wanted pictures with a plane and on a runway. This is a very difficult thing to ask for but Marc made phone calls, arranged plans, and even drove to St. Petersburg the day before to ensure he knew everywhere he wanted to take us. He did all this for us, knowing my fiancé was deployed and we wouldn’t have much time in between his return and the wedding date to get our pictures done. He then worked hard to finish the pictures and ensure we would get a few weeks to enjoy them in advance of the wedding. On our wedding day, Marc was absolutely the person I wanted to be there. It is such an intimate day so it was important to me that I felt he was a friend there with us the whole time. Everyone commented on how talented and fun he was and our photos came out absolutely perfect. There is not one negative thing I could say about him or his work and I would 100% recommend him to any bride in search of a photographer. Anyone who knows my husband and I, knows we aren't the easiest people to photograph. We are cursed with the awkwardness of how to stand, smile and move around. like any other bride I was compleatly self concious of my armfat, and if I would have back clevage or not. Tyler was worried that he would look balding, and that his beard wouldnt stay behaved, but in the photos from my wedding, you would never know. Marc made us feel comfortable since the day we met him, he was there to fix my hair, and get me my wine, he was there to calm me down, and tell me how beautiful everything and everyone was. Marc was a friend at my wedding, and in all the world, that is all we could ever ask or hope for! Marc is truly an amazingly talented individual, and he demonstrates his talents in many different ways: shooting wonderfully beautiful photography, conducting himself as a consummate professional, all while being sincerely fun, personable and accessible. The best wedding choice I made was marrying the love of my life, the second was choosing Marc to capture our day! Marc Edwards is absolutely amazing. I highly recommend him for your wedding pictures! I cannot say how happy we were with our photographs from both the wedding and our engagement session. He is truly an artist and takes incredibly beautiful pictures. He is an amazing photographer but he just has the best personality and was wonderful to work with. We both instantly loved him from meeting him, and after seeing the amazing engagement pictures, our photographer was one of the ONLY things that I was not stressing about before the wedding. During the wedding not only was he taking beautiful pictures and very professional, but he was also the person that was calming me down after being upset about my makeup. I finally calmed down about my makeup only because I knew that no matter what I knew that Marc Edwards was going to make us look great in our pictures, and he did. He also has an amazing talent for making you feel comfortable in front of the camera while he is taking pictures, he is has such a positive and upbeat personality that it is contagious and you just have a great time taking the pictures. He also has a wonderful talent to just "get" the couple and capture their personalities in the photographs. He really wanted to get to talk to us and know us beforehand to be able to do that. We didn't really give him anything in particular that we "wanted" in our pictures, but he did everything I could have hoped for and more. 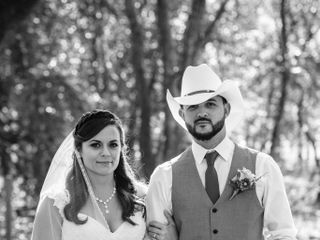 I have gotten so many compliments about how professional and awesome we was at the wedding and how beautiful our wedding pictures turned out. 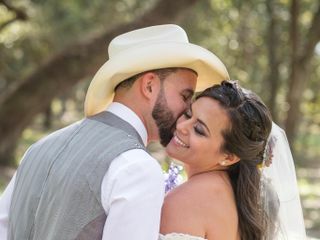 We loved him so much that we even asked for him to stay after the wedding and come celebrate with us, I think that is probably pretty rare that you love your wedding photographer so much that you want him to stay even after to join the celebration! 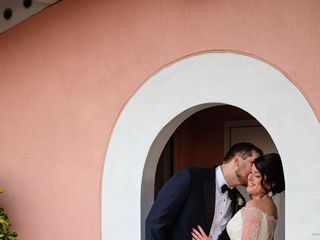 Having beautiful wedding pictures to remember your special day is so important and I am so happy that we had Marc to capture our wedding day!